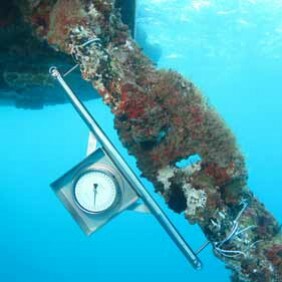 The anchor chain clinometer (or inclinometer) measures the angle of the anchor chains, which are used to put the position of a platform or loading facility reliable in a stationary position. The angle is important for the functionality of the anchor chains, so that the achors will work most effective. The mechanical Clinometer is made of seawater resistant Stainless Steel, and the angle meter can function up to a depth of 50m below sealevel. 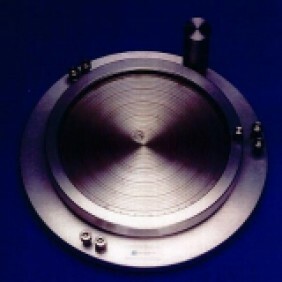 The clinometer is special made for a specific chain size (e.g. 3 1/2 inch chain). Clinometer is supplied in a pinewood transport case. The clinometers of Observator measure the chain angle of mooring chains for platforms or other buoys. The clinometer is special made for a specific chain size and is supplied in a pinewood transport case. OMC-6050 clinometer to measure the chain angle of mooring chains for platforms or other buoys. The OMC-6025 measure the chain angle of mooring chains for platforms or other buoys.